My friends, and I have been working really hard to prepare everything for a Polo Fundraiser we are hosting this weekend for The Child Brain Foundation. I have previously posted about the hats that people wore last year to this polo match event here. The event is in the Dallas countryside with wide open spaces and lots and lots of grass. There wasn't much in the budget for decorations but I did want to add a pop of interest. We had some basic navy blue blankets last year, which we will use again this year, so guests can sit with their kids and watch the polo match. But, this time around, I wanted to add a few blankets that would break up the monotony and add some excitement. 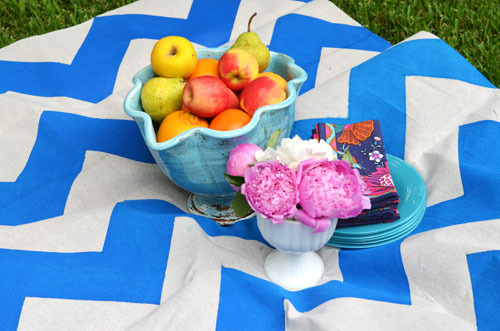 Then, I remembered this DIY here of painted picnic blankets from Twig and Thistle that I had bookmarked. So I gave it a go. With the help of my friend Elizabeth and her beautiful family (I love how DIY's can turn into family projects) we made three of these beauties happen. I'm so happy we did because the result is spectacular! they are so cute and practical. 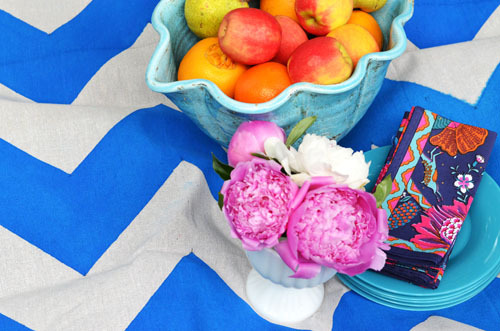 Adorable for this polo match and/or any picnic situation. Maybe next year I can make a few more in a different color and pattern to add to our collection. I'm so excited to give these a whirl this weekend. You can follow step-by-step directions from here. I'm so enjoying these beautiful peonies photographed above! They smell so well too. 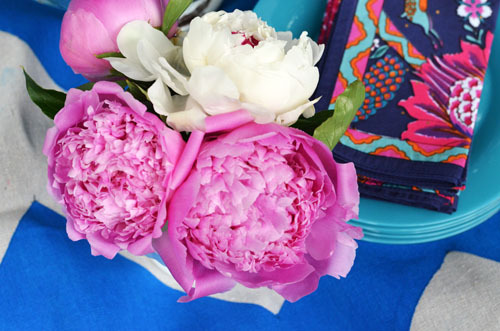 In case you are wondering those cute napkins are from Zara home (when will you come to the United States Zara Home?). I can't tell you all the amazing things they carry. If you are in the Dallas area and want to come and enjoy a beautiful day in the countryside with horses, wine, and plenty of hats, all for a good cause (brain research) you can buy tickets here. Please cross your fingers for no rain!! So what do you think? 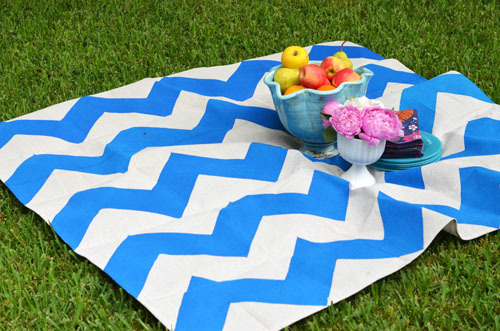 DIY picnic blanket- yes? I LOVE IT! 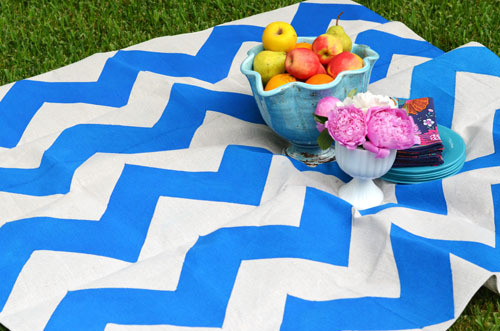 Those blankets will definitely break up any monotony! Beautiful styling as usual! I love this- a gorgeous DIY that I'm definitely going to try...and for a charity event?